SUEDE CLEANING KIT To do the right job, you've got to have the right tools. 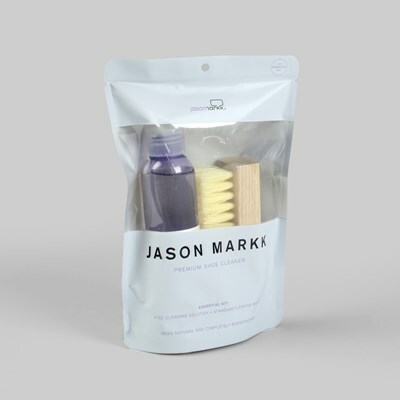 The Jason Markk Suede Cleaning Kit is the perfect addition to your shoe cleaning arsenal. 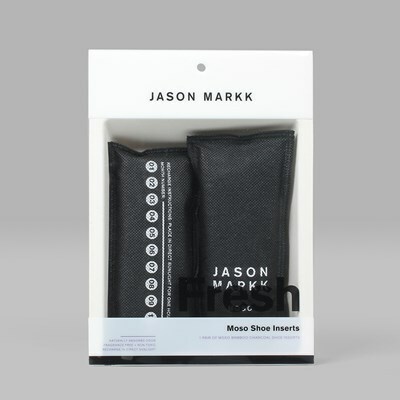 Use the Eraser to dry clean suede and to clean dirty midsoles. Once you've cleaned the suede, use the Suede Brush to revive the buttery nap on your favourite pair of suede kicks. 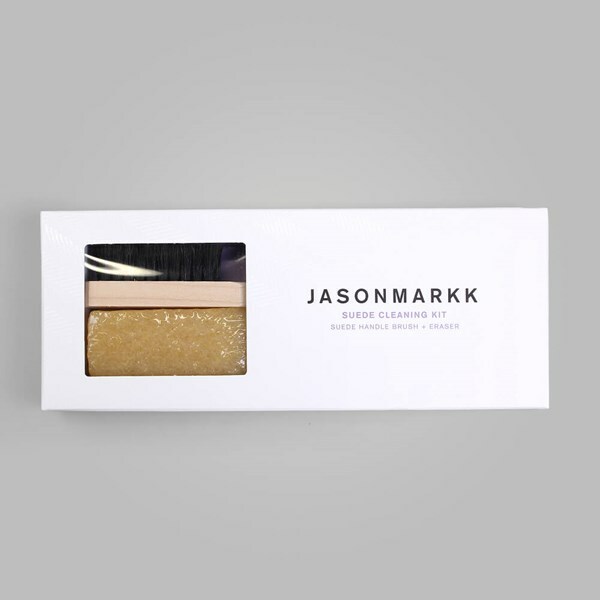 The Eraser helps to remove dirt from materials such as suede, nubuck and even midsoles. To use: begin by applying the Eraser to the dirty suede and work back and forth using gentle to mild pressure. 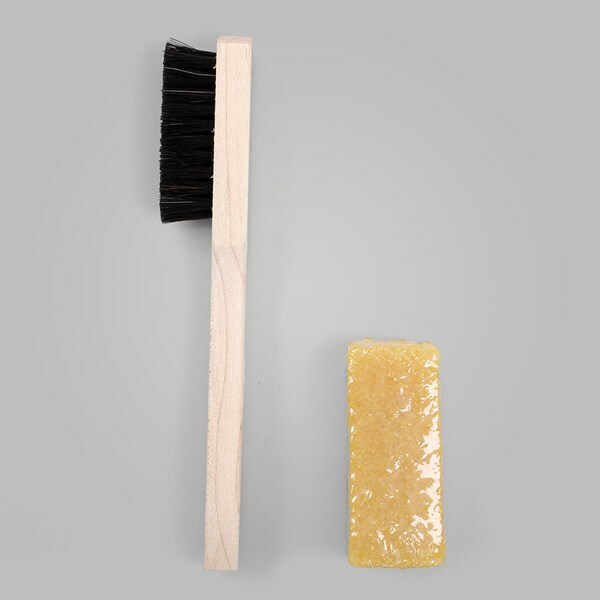 Then follow with the Suede Handle Brush to restore the suede to its original buttery nap. 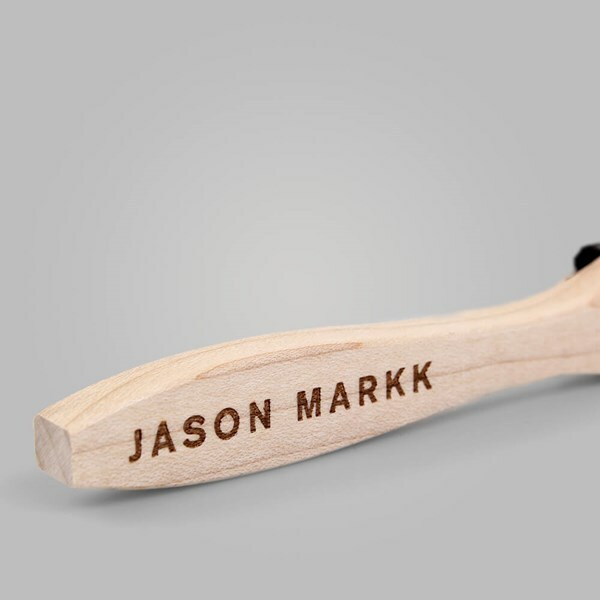 The handcrafted beech wood brush comes with soft horse hair bristles ideal for cleaning sensitive materials. 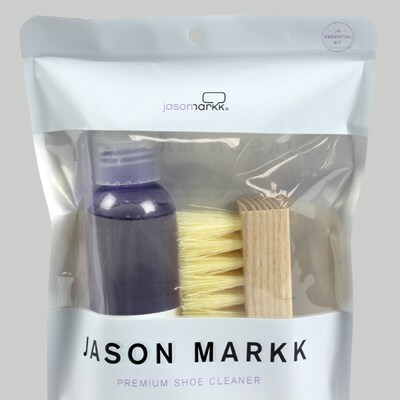 Retailing for £10, the Suede Cleaning Kit is an essential product for every shoe-obsessed, sneaker head, and fashion forward customer.